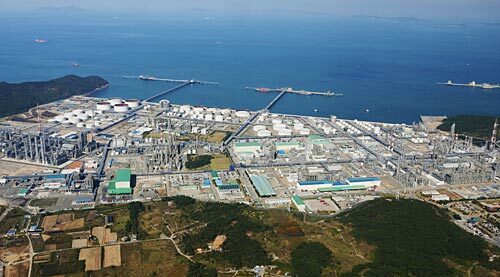 Hanwha Total Petrochemical, a 50/50 joint venture between Hanwha and Total, will invest more than USD 300 million to expand its integrated refining and petrochemicals platform located in Daesan, South Korea. The investment will increase the site’s polyethylene capacity by more than 50% to 1.1 million tons per year by the end of 2019. This project complements the steam cracker expansion and flexibilisation project announced earlier this year, that will notably enable it to process low-cost propane feedstock. Thus, it will allow the facility to capture margin along the full ethylene-polyethylene value chain. Daesan is one of Total’s six world-class integrated platforms and a strategic asset for both shareholders. The site, which is comprised of a flexible condensate splitter, a competitive steam cracker and polymers, styrene and aromatics, generated a net result of nearly USD 1 billion in 2016. Hanwha Total Petrochemical will use the state-of-the-art Advanced Double Loop technology licensed by Total and Chevron Phillips Chemical Company, which will enable the production of a wide range of high-end specialty polyethylenes. The additional production of polyethylene, the most widely used polymer, will supply the local South Korean demand and also the fast-growing Chinese market.